Key Largo Hotel & Resort - Islamorada Hotel & Resort Coconut Palm Inn; Luxury Place to Stay in Key Largo & Islamorada, Florida Nestled in a coconut grove on a white, sandy "sunning" beach directly on the Florida Bay, the Key Largo Hotel and Resort known as Coconut Palm Inn is one of the Florida Key's most unique luxury beachfront hideaways. Intimate and private, our Key Largo's Luxury Resort, with twenty rooms and suites offer simple Keys comforts. The Key Largo Inn is conveniently located less than 70 miles from the Miami International Airport, between Key Largo and Islamorada, so if you're looking for an Islamorada Hotel or an Islamorada Resort and Inn, Our staff is dedicated to showing you all that makes the Florida Keys one of the most spectacular outdoor destinations in the world. The Coconut Palm Inn is centrally located within the heart of the best sport fishing, diving and snorkeling in the country. The Bay is our backyard and a short run by boat gives quick access to the Ocean. You can relax by lazing around the pool, napping in a hammock under the swaying palms or enjoying the most spectacular sunsets in the Keys. Since the Inn is W-Fi enabled, you can even surf the Internet or check your emails while you relax in paradise. 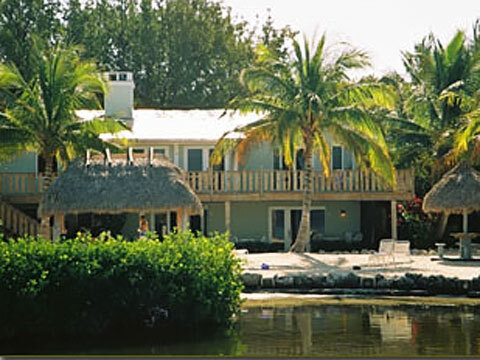 Whatever you want to do, even if it is nothing at all, the Coconut Palm Inn is your Key Largo and Islamorada Hotel, Motel, or Resort and is here for you!